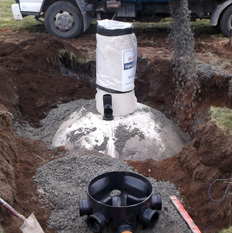 Septic tanks are now found in a large majority of rural residential and commercial properties and some in town areas, as such they require a regular septic tank emptying service. 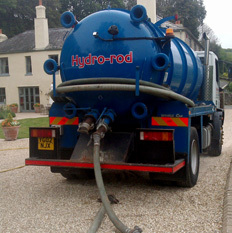 At Hydrorod we understand that septic tanks can be located in the least accessible area and we come prepared with 150 feet of hose and an experienced operative ready for a quick and clean removal of the waste. Our costs are competitive and the waste is moved in a clean and efficient manner. Cesspits are usually placed underground and come in a many sizes, they are a sealed tank which collects all of your property’s liquid effluent. 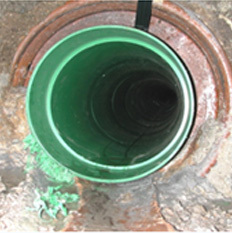 This includes sink and bath waste as well as sewage, they are accessed via a manhole cover and will need to be emptied on a very frequent basis. 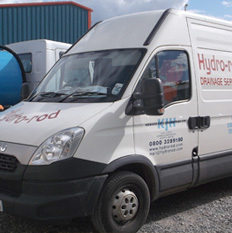 As well as emptying your septic tank we offer a complete installation and repair service of all septic tanks and sewage treatment systems, please call for advice.